123 mins. Rated PG-13 for some thematic elements and suggestive material. 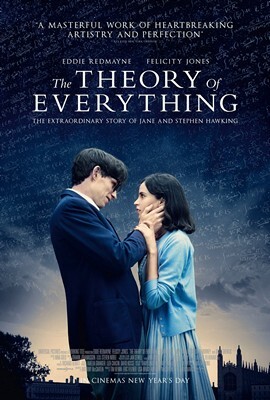 In The Theory of Everything, Eddie Redmayne (Les Miserables, Jupiter Ascending) portrays Stephen Hawking in the years chronicling his debilitating disease and the unstoppable will of the human mind as his relationship with eventual wife Jane (Felicity Jones, The Amazing Spider-Man 2, True Story) heads through its most difficult steps. 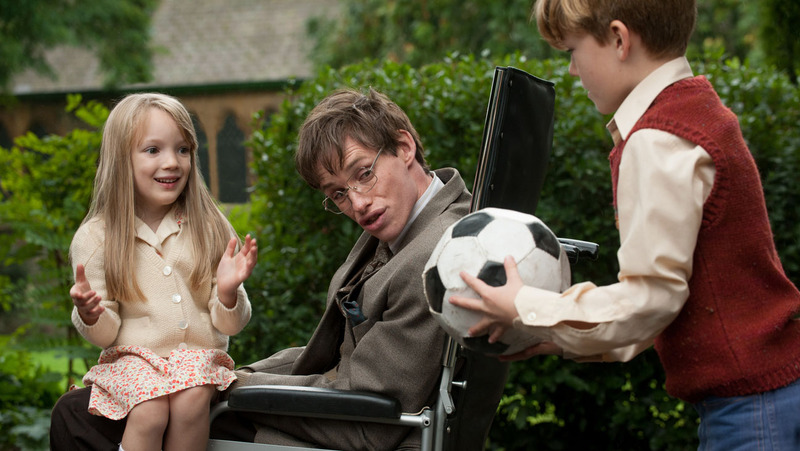 Eddie Redmayne absolutely perfects the art of becoming a human being in his portrayal of Mr. Hawking. There are so many times when I watched this movie and forgot I was watching a movie. His performance is so layered with emotional resonance, even as his disease progresses, that it becomes difficult to discern when he is speaking his lines from when his eyes convey his communication. Felicity Jones provides pretty great, though somewhat overshadowed, work as Jane Hawking, a woman tortured by promises and unbeatable devotion to her husband. These two have tremendous chemistry. Director James Marsh begins his films with breathtaking visuals symbolizing Hawking’s great mind but it eventually fades away which is sad as I found it to be a wholly engaging bit of visual spectacle that threads the movie together in an almost mystical way. The Oscar-nominated score is an engaging one, a numeric tone of simple patterns used well. Did anyone else notice that the end credits are in reverse as homage to the underlying theme of time’s nonlinear presentation. 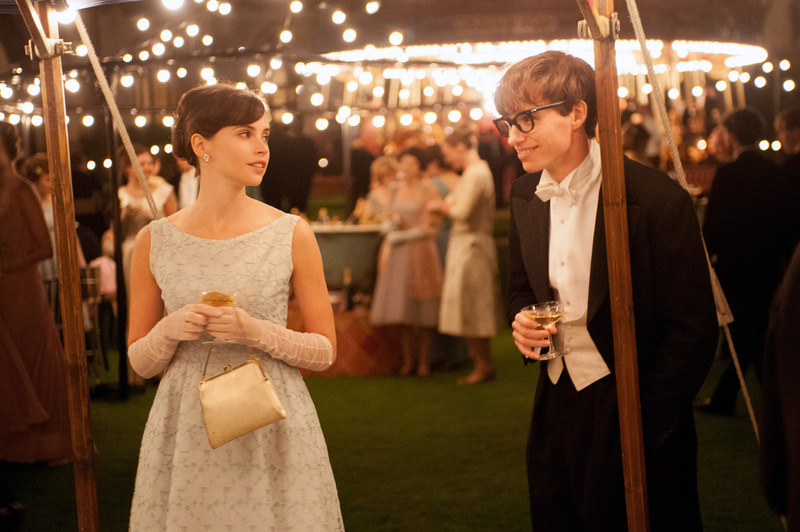 The Theory of Everything misses the visual marks that could make it extraordinary. Thankfully, the film is built on the wonderful chemistry of definitive stars Redmayne and Jones. It isn’t the best picture of 2014, but it is a remarkable character study of one of the most interesting characters in history.